Virtual reality is healing patients with augmented technologies. The patient experience has been transformed. Welcome to the era of engaged recovery — the new world of healing. Immersive multimedia, hybrid realities and computer-generated sensory experiences place doctors and patients into fantasy worlds. Our fascination with digital cameras has evolved into a curiosity about head-mounted displays (HMD) and 360-degree immersion videos. Virtual worlds have enabled open access into an environment where non-real-world experiences are nested within physical experiences. Virtual reality (VR): full immersion, a simulated reality. Mixed reality: partial immersion, virtual objects in a real world. Augmented reality (AR): information overlay, simulated information on top of the real world. Today, we’ll explore how advances in virtual reality are creating worlds that heal. Virtual reality enables you to attend your favorite classical concert, relax on a beach of your dreams, or engage in a multi-player game with other patients post-surgery. Post surgery recovery is changing. Three-dimensional images, encapsulated within a virtual environment, allow patients to participate in a seemingly real world blurring the physical, digital, and biological spheres. Amplified interconnectivity and network building have provided patients with access to increasingly sophisticated platforms renewing patient engagement. The Medical Virtual Reality (MedVR) group at the University of Southern California Institute for Creative Technologies focuses on four areas of virtual medical reality: mental and behavioral health, game-based rehabilitation, neurocognitive assessment and training, and virtual humans. MedVR was established in 1999 and is sponsored by the U.S. Army supported by a unique team of artists, gamers, computer and social scientists, and educators. MedVR is creating interactive worlds for patients to grow and heal, utilizing virtual reality to transform the patient experience. Bracemind tackles post-traumatic stress disorder (PTSD) with a virtual-reality-based exposure therapy tool driven by clinical data. The tool aims to decrease the number of soldiers returning home at risk for developing PTSD. Detection and Computational Analysis of Psychological Signals (DCAPS) reconnects our service men and women with their families. DCAPS is an innovative experience that can detect depression by analyzing facial expressions, body gestures, and speech. Novel Interactions for Amputees is a tele-rehabilitation program build on top of virtual reality. Centers such as Center for the Intrepid and National Intrepid Center of Excellence, Walter Reed National Military Medical Center and the Department of Veterans Affairs do offer state-of-the-art clinical rehab programs. However, these programs are not home-based practices and are inconvenient for mobile military personnel. ICT (information and communications technology) can be injected into a virtual world capitalizing on 3D real-time motion tracking technology by using game-based tools for rehabilitations for service members with amputations. Virtual Reality Cognitive Performance Assessment Test (VRCPAT) combines assessment and rehabilitation of neurocognitive and affective functioning. This technology applies an individualist performance baseline that allows for assessments in a safe and virtualized environment. SimCoach (web-based virtual humans designed to assist service members) and Virtual Patient (virtual human technology used to create realistic, lifelike avatars to train clinician) are improving the patient and provider experience through dynamic virtual reality environments. Healing just became fun. The list of possibilities for VR is endless. Augmented and virtual reality medical solutions are removing distractions, improving the quality of critical thinking, and maturing learning solutions, saving time and money while supercharging the learning experience. Explosive developments in 3D virtual and augmented reality have taken clinical education and hands-on learning to the next level. One such example is Eonreality, a pioneer in virtual reality. Eonreality a world leader in virtual- and augmented-reality-based knowledge transfer for industry, education and entertainment. Eonreality uses virtual reality to create smart nations, better athletes, enhanced leisure and sports experiences, and patient-centric education to bring immersive experiences to life. Eonreality provides solutions across education, medical, energy, aerospace, manufacturing, real estate and construction, edutainment, travel and tourism, sports, government, defense and retail. The application of virtual reality is creating a more engaged sports fan and can even bring Christmas early. Medical training for ophthalmology is another of the many immersive experiences Eonreality offers. Faster learning, high levels of knowledge transfer and improved attention through a greater level of engagement. Attention is improved by targeting all three modalities for learning: kinesthetic, visual and auditory. Eyeslim is one of Eonreality's flagship products. Eyeslim is a virtual reality ophthalmic training simulator application designed for educators to use in the classroom. This platform allows learners to achieve mastery learning through deliberate practice. The Eyeslim project started with the vision to address three challenges: 1) Two-dimensional representations of 3D problems, 2) not early enough “hands on” practice and 3) the limited amount of dysfunctions that can be simulated in 2D. It's difficult for medical students to study complex ophthalmology structures of the human eye using traditional books and 2D teaching aids. This intentional and deliberate practice was necessary for proficiency, and this method of learning was not possible within a 2D learning environment. Eonreality transformed learning, through the creation of a virtual immersion experience, removing the need for expensive physical simulators. Innovation is ever present in the virtual reality space for healthcare. Mindmaze has developed a breakthrough platform to build intuitive human-machine interfaces combining virtual reality, computer graphics, brain imaging and neuroscience. MindMotionPRO is a healthcare product offering immersive virtual reality solutions for early motor rehabilitation in stroke patients. 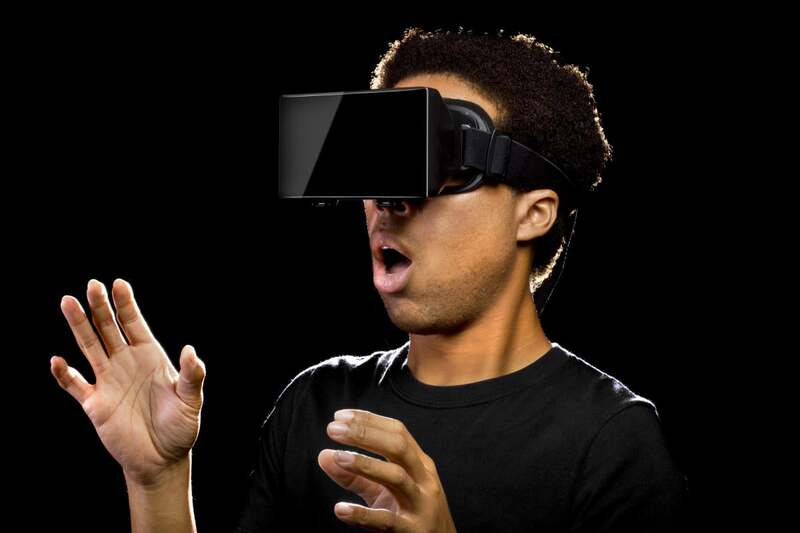 Live 360 uses consumer-level virtual reality devices such as the Oculus Rift. Medical Realities offers systems designed to reduce the cost of training. ImmersiveTouch is a surgical virtual reality technology that offers a realistic surgical touch and feel. It also brings patient images to life with AR and VR imaging. BioFlight VR offers a broad range of medical VR and AR services, including VR training and simulations, AR training, behavior modification and 360-degree video. Zspace is an immersive medical learning platform, virtualizing anatomical representations into complete procedural planning. zSpace brings a new dimension to medical learning and visualization across three spaces: gross anatomy VR lab (13,000 plus anatomical objects), teaching presentation view (share the teaching experience with the class via HD TV) and DICOM Viewer (volumetrically render 2D DICOM slices). Virtual reality products are flooding the healthcare market. New innovative approaches to old problems have nudged entrepreneurs toward a new belief — the belief there is hope for the healthcare experience to transform.